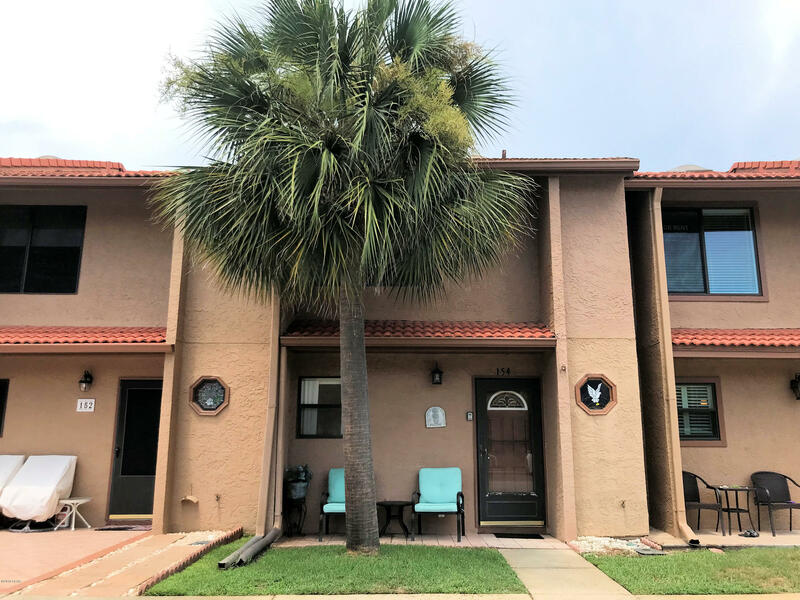 Walk or Golf Cart to the beach from this affordable 2-Story Townhouse located just across from a community pool with play area. Enjoy the private Beachfront Pool Club with Cafe! An oversized living room features a Gas Fireplace, Wet Bar and Canal-Front Patio. The full Kitchen offers newer Appliances, Gas Stove, Breakfast Bar, Decorative Cabinets, Dining Area. Two spacious bedrooms with full bathrooms and laundry room are on second level. Master has a canal view and walk-in closet. Hallway skylight lets the sunshine in. LOW HOA fees, lots of Amenities including 11 refreshing Pools (5 heated), Shuffleboard, 4 Tennis Courts (2 lighted), Mini Golf, Work-Out Room. Owner's Pets Welcome! Good Financing Plans Available. Ask for a Cost To Own worksheet which shows bottom line cash flow estimate.